business attire) and assemble at 11 a.m. at the loading dock. 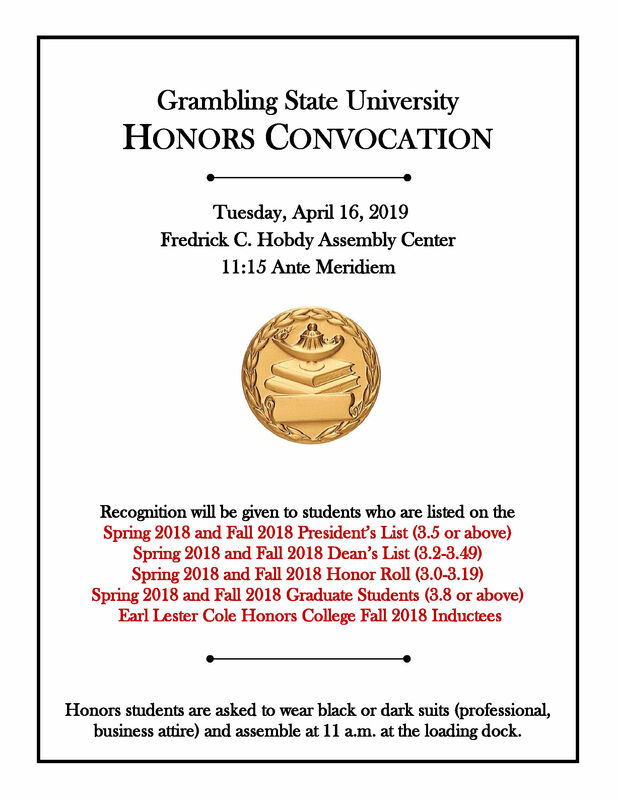 The 2019 Grambling State University Honors Convocation will held on Tuesday, April 16th at 11:15 A.M. in the Frederick C. Hobdy Assembly Center. University class schedules are adjusted as follows. 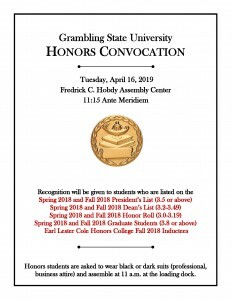 Honors students are asked to assemble at 11:00 a.m. at the loading dock. Gentlemen are asked to wear black/dark suits or black slacks, white shirt and dark tie. Ladies are asked to wear a conservative black/dark dress or suit. All senior/mid-level administrators and faculty are expected to participate in the program. The Line-of-March will form at 11:00 a.m. and the procession will begin at 11:10 a.m. Faculty and staff are requested to wear their academic regalia.